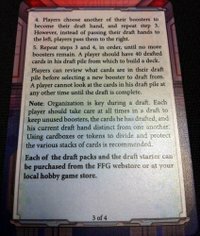 I should probably mention that I love drafting in Magic still, ever since I've left the Magic scene, it has been something I still crave on occasion. This news therefore has excited me a great deal as you can probably imagine. 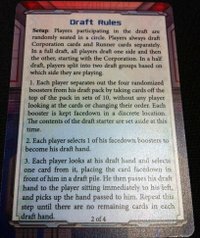 For those of you who aren't sure how a draft works, effectively each player has a 'pack.' Each player opens their pack, picks a card from it and then passes it to their left/right. Having received a new pack of cards (minus 1), you then pick another card until all cards are exhausted. Once you have your cards picked, you build a deck and then play against everyone elses. Sounds fun right? That's because it is! So without further ado, here is the spoiled information so far (leaked via @ScottAwesome1 on Twitter). 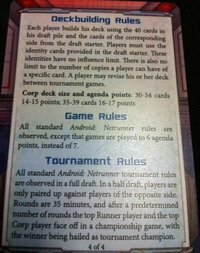 So here we have the two 'neutral' corp and runner ID's. Possibly more to follow? Also some suggestions that we may see rare promo ID's in the future? Could be! It seems like every player will have a 'starter' deck pack to use (probably key breakers or agendas to ensure the game works no matter what you pick). 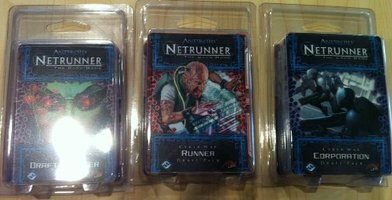 The other packs are randomised corp/runner packs which you can then use to add/replace cards in the starter deck. Looks like it can also be scaled up/down depending on player count. 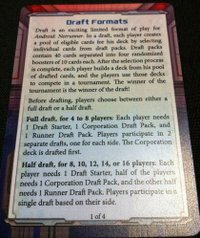 New agenda limits and tournament rules leads me to believe we may yet see a competitive draft format. That is very exciting (for me at least!). 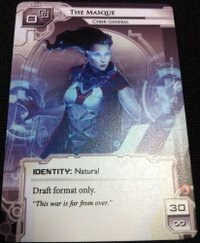 We're being told that this set will be called 'Cyber War' and will only contain Genesis and Core cards, leading most people to comment that there's a good chance there will be more. 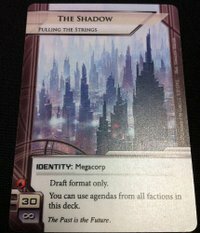 Also looks like the 'rare' one of's in the core are being printed in these sets (randomly) which will mean that a 2nd and 3rd core set purchase is a lot less appealing for new players. Rumours also have the cost at $5 for the 'starter' set (reusable) and $15 for each corp or runner set.